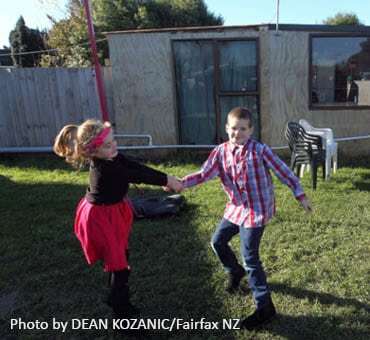 Eighteen months living in a shed are finally over for Karl and Sari Fisk and their children. 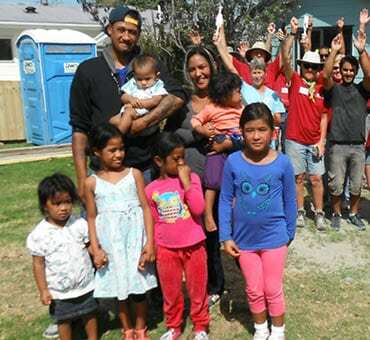 The Christchurch couple was handed the keys to the brand new Kaiapoi home they helped build themselves. 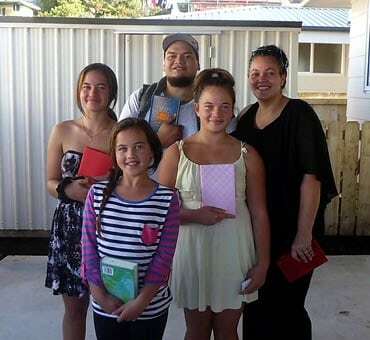 The family is one of 21 in Canterbury to receive a house courtesy of Habitat for Humanity’s Hand-up Christchurch project. 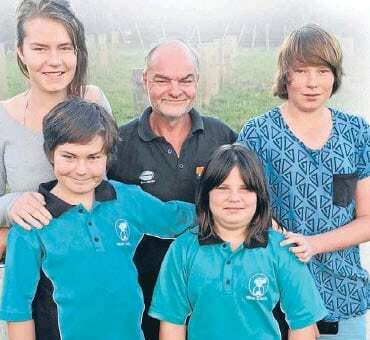 Sari Fisk said the family was just managing to pay the rent on their former Hoon Hay home. 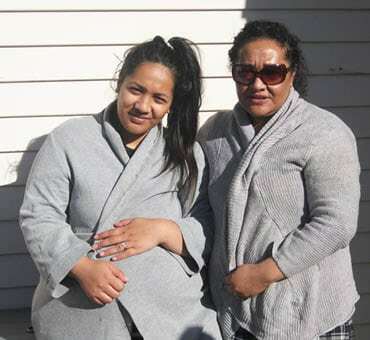 When the rent increased by $40 a week after the 2011 earthquake, it was just too much, despite both she and Karl working full-time, she said. The family made the decision to move into a 15 square metre shed out the back of a relative’s Linwood house. Everything was squeezed into the shed. It was partitioned into three areas, two bedrooms and a living space. There was just enough room for their beds and they used the bathroom in the relative’s home. Sari and Karl looked forward to a bit of privacy. In the shed, there was no such thing as a “sleep in”, Sari said. “We don’t have a doorway so when the kids get up and put the television on, everyone is up,” she said. The Fisks were selected from 54 applicants after an HFH information evening. They will pay 30 per cent of their combined income to HFH for 10 years, then the house will be theirs. Robert and his son Ashton have been living with the problems caused by sub-standard plumbing for several years, having to boil hot water to use for washing and doing clothes washing by hand. Life has been difficult for them following the death of Robert’s wife from cancer a few days short of Ashton’s fifth birthday. 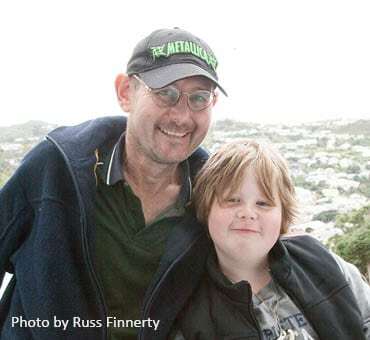 Robert has also recently undergone cancer treatment and is still dealing with the effects of chemotherapy. Several local contractors came on board and provided their services at a reduced or cost price. Robert will repay the cost of the project to Habitat at an affordable level so that the funds can be used to help other families. To help with repayments, a downstairs space has been spruced up ready to rent out. Finally, the inside of the house will receive a make-over with donated paint a team of 8 willing volunteers. Robert is overwhelmed with what has been done and says he feels like a different man who can now sleep at night without worrying about the house and their future. 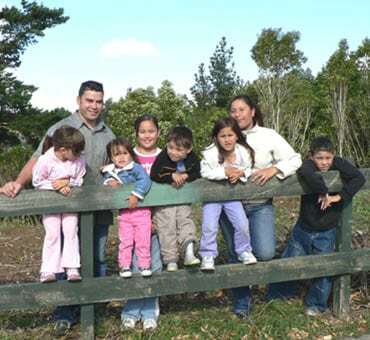 Nina and Paul and their five children have lived in their family home for many years. Nina’s father made some improvements to the house but sadly passed away before completing the work. As there were serious problems with leaks, damp and mould, they did as much as they could afford; adding insulation, heap pump, DVS and carpet. Unfortunately the person they hired for the bathroom renovations didn’t do a good job and they were left with a loose shower unit, gaps in the gib, an undersized toilet and an unplumbed vanity. The shower door eventually fell off and smashed over their daughter. Just after their new baby was born and thanks to the support of a private donor, Habitat was able to renovate the bathroom, re-gib the areas of black mould, remove the separate leaky toilet and open the space to increase the size of the children’s bedroom. Habitat also installed a partition to divide the bedroom for the boys and girls, added a gate to keep the little ones away from the busy road and fix some rotten exterior weatherboards. Also the interior of the house was repainted. The family is repaying the cost of the project to Habitat at an affordable level so that the funds can be used to assist more families in housing need. They are so delighted and grateful, that they are thinking of ways to “pay it forward” by way of service to their community. 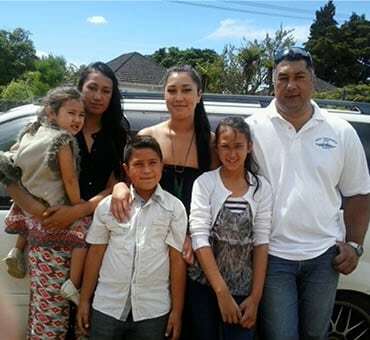 William Reihana and Tahlia Te Pairi and their six children are the 11th family in Gisborne to move into a Habitat for Humanity house. The house means a lot to the family who has been living in an old, damp rental home with rotten window frames, affecting the family’s health. 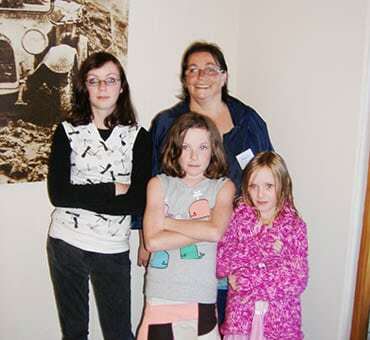 In 2008 family Madden’s dream came true when they moved into their Habitat home. Six years on mother Nicola is now a registered nurse. She says this would not have been achieved in such a short time without the stability that having her own home has given her and her girls. Her girls have been a great support for her and have been on the journey with her every step of the way. She has been able to show them what perseverance and hard work can achieve with the love and support given to her by her family and friends. She says Habitat for Humanity remains part of her heart and thank you does not even begin to describe the feelings she has in helping her to get this far. Family Uaea moved in to their home in 2012. Two years later they look back. “Through circumstances we moved in with family; it was five adults and five children in a three-bedroom house. It was an old, cold state home. If one of us got sick, it would go around. The environment aggravated the children’s eczema and worsened my husband’s asthma. We appreciated the opportunity to live in with the family, but life was stressful. The feeling after we moved into our Habitat home was overwhelming. Health wise it’s been a blessing: no more asthma, and eczema is nearly gone. The children are much happier. They can express themselves and they are able to grow and develop in their own way. They can bring friends home, we invite ours. We put up our own pictures, we have a home. One daughter is finishing her degree, another just completed hers. My husband is in his second year of social work degree and I have completed mine. The new house played a major role in these achievements. It was always difficult to study as there was no private space where we could focus on our work. As a mother, giving your children a stable environment is all one hopes for. This however is not a reality all of us can afford. When I first applied to Habitat I never actually thought I would have any chance of getting it, It seemed like a distant wish rather than a reality. When I was told I was the recipient of the next Habitat house I was extremely overwhelmed and excited. As the moving day comes closer the reality of this build is starting to sink in. Habitat for Humanity has given me and my son a chance to grow as a family; in a house we can call our own. A true hand up, we will never forget. Arohanui Wilson comments on her home: “We started our journey in the middle of 2013 and what an awesome ride that has been! We are truly blessed to have had such a great opportunity to build our very own home…Habitat has given us a hand up in so many ways! We were forever moving houses because of high rent, too cold, damp or too expensive with gas heating. With our daughter having a liver condition we were always concerned about our living situations. Habitat for Humanity has given us the security of a warm, safe, dry and beautiful home, which we will be forever grateful for. Words cannot express the gratitude we have as a whanau for this taonga! So many thank you to give to so many people, and we don’t want to miss anyone out, so please take our humble appreciation to ALL who are involved in our journey. Thank you, Ka mau te wehi. Tihei mauri ora!! Family Dornan moved into their Habitat home in 2012. Two years later they look back. “My nephew and his family had nowhere to live, so they moved in with us. We had a three bedroom home and there were thirteen of us. It was very cramped. We’ve moved seven times in twenty years. Different things kept us on the move: rent increases, sales by owners, unhealthy homes or the need for more space. Moving into our Habitat home has given us stability and peace of mind. Our children can always come back to their home and know there will always be someone there. We are not constantly moving around. It just means peace. 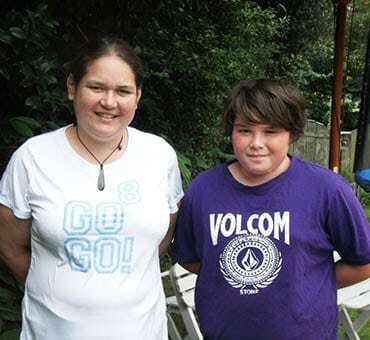 Mother of six, Donna Munroe tells how having a secure place to call home has changed their lives: “Owning our home has been really awesome. 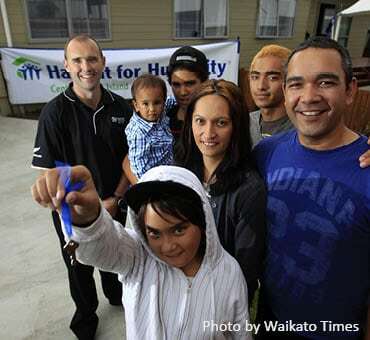 Before going to Habitat, we lived in Housing NZ properties all our lives. We were eager to own our own home but it was always out of reach. We were thrilled with the opportunity to own our own home. It is amazing what we have been able to achieve since moving in. I went back to study and graduated with a Bachelor in Business Degree and am now working towards a Masters in Professional Accounting. Although this has been very challenging for me, having supportive family, friends and a secure home has helped me along this journey. My husband has had a change of career as well and is now an engineering tutor at Weltec, teaching Trades Academy and inmates at Rimutaka Prison, which he finds rewarding.